STEUBENVILLE — When opportunity knocks, it’s always wise to open the door. St. Clairsville did exactly that in Tuesday’s 15-1 five-inning dismantling of Steubenville at Vaccaro Field. 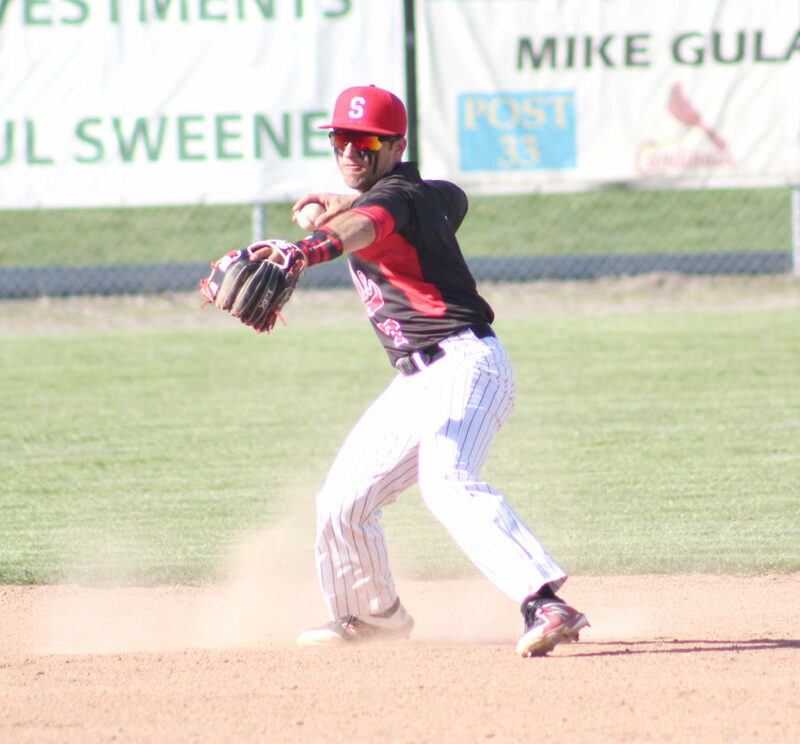 The Red Devils, who dropped a tough 6-5 verdict to Big Red in the OVAC Class 4A semifinals on April 21, sent 16 batters to the plate in the home half of the first, scored 11 runs, recorded five hits and took full advantage of four Steubenville errors as well as four free passes. “We put some balls in play, and they (Steubenville) had some troubles in that first inning,” St. Clairsville coach Tom Sliva said. “Against a good team like that you have to take advantage of your opportunities and, fortunately for us, our kids did. Jayden Starks got the Red Devil uprising going when he reached on an error. He would later score on Dustin Carrothers’ first run-scoring single of the inning. Carrothers had two hits during the rally, while Matthew Busby, Kaden Blomquist and Derek Witsberger added the other safeties. Starks, Busby, Kyle Storer, Blomquist, Peyton Drake, Jacob Jarvis and Witsberger all drove home runs for the Red Devils, who now are 11-6 and have scored 25 runs in their last two outings. Jake Bernard started on the mound for Big Red and faced 10 batters without recording an out. Dylan Cunningham took over and went the rest of the way. St. Clairsville added three more in the fourth and one in the fifth. The Red Devils pounded out 13 hits. Witsberger finished with a double and two singles, while Carrothers singled three times. Starks contributed a triple and a double. Busby and Storer singled twice. Storer knocked home three runs. In addition to his big night at the plate, Storer (a junior) was outstanding on the mound. He scattered three hits and didn’t allow a walk in earning the victory. Big Red’s lone tally came in the third with Alec Taylor getting the RBI. “Storer did a real nice job for us,” Sliva said. “I’m sure they were a little deflated after the first inning, and he did a nice job of keeping them down and keeping us on top of things. He handled his job on the mound well. St. Clairsville, the Southern Division champions, will return to Jefferson County today for the Buckeye 8 championship game at Edison, the Northern kingpins. The teams have not played yet this season. Big Red, which fell to 12-4, travels to Wheeling Park today, hosts Martins Ferry on Thursday and visits Edison Friday before beginning Division II tournament play next week. ST. CLAIRSVILLE (11-6): Storer (WP, 5IP, 1R, 3H, 1K, 0BB) and Jarvis. STEUBENVILLE (12-4): Bernard (LP, 1IP, 9R, 3H, 0K, 4BB, 1HBP) Cunningham (5IP, 6R, 10H, 0K, 1BB) and Criss. 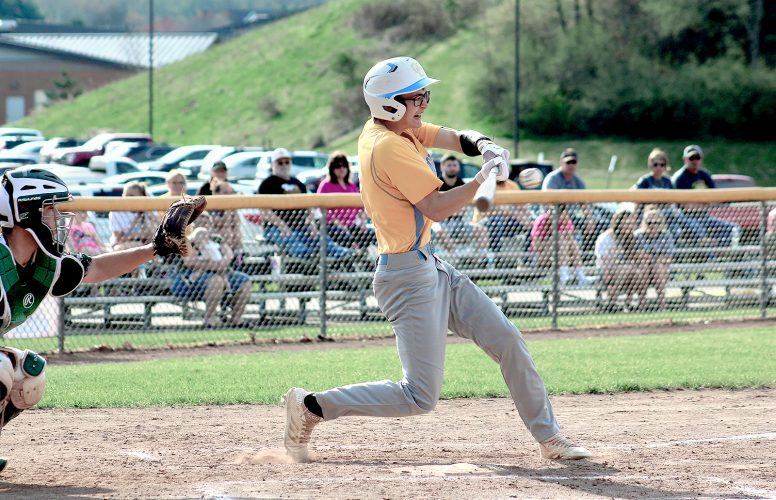 TWO OR MORE HITS: St. Clairsville (Witsberger D, 2S, Carrothers 3S, Starks T,D, Busby 2S, Storer 2S);TRIPLES: St. Clairsville (Starks); DOUBLES: St. Clairsville (Witsberger, Starks); RBI’s: St. Clairsville (Storer 3, Starks 2, Carrothers 2, Witsberger 2, Busby, Blomquist, Drake, Jarvis); Big Red (Taylor).